Now fully updated to make your language learning experience fun and interactive. You can still rely on the benefits of a top language teacher and our years of teaching experience, but now with added learning features within the course and online.The course is structured in thematic units and the emphasis is placed on communication, so that you effortlessly progress from introducing yourself and dealing with everyday situations, to using the phone and talking about work. Extra online articles at: www.teachyourself.com to give you a richer understanding of the culture and history of Thai. Comprehensive - all you need to be able to communicate with confidence in all four skills: listening and speaking, reading and writing. Completely updated - new edition with fully updated and improved material. Thai script - the presentation of the script has been improved and extended to help you get to grips with reading and writing more quickly. Will you go to Siam Square? I'll have chicken and fried rice. Could I speak to ..., please? What time does the coach leave? Do you have any free rooms? I want to live in a house where there is a garden. David Smyth, the author, spent several years teaching at universities in Thailand before taking up a post as Lecturer in Thai at the School of Oriental and African Studies at the University of London. Thai is the national and official language of Thailand and the mother tongue of the Thai people, Thailand's dominant ethnic group. Thai is a member of the Tai group of the Tai-Kadai language family. The Tai-Kadai languages are thought to have originated in what is now southern China, and some linguists have proposed links to the Austroasiatic, Austronesian, or Sino-Tibetan language families. It is a tonal and analytic language. The combination of tonality, a complex orthography, relational markers and a distinctive phonology can make Thai difficult to learn for those who do not already speak a related language. Standard Thai, also known as Central Thai or Siamese, is the official language of Thailand, spoken by about 65 million people including speakers of Bangkok Thai . Khorat Thai is spoken by about 400,000 (1984) in Nakhon Ratchasima; it occupies a linguistic position somewhere between Central Thai and Isan on a dialect continuum, and may be considered a variant or dialect of either. * Isan (Northeastern Thai), the language of the Isan region of Thailand, considered by some to be a dialect of the Lao language, which it very closely resembles (although it is written in the Thai alphabet). It is spoken by about 15 million people (1983). * Nyaw language, spoken mostly in Nakhon Phanom Province, Sakhon Nakhon Province, Udon Thani Province of Northeast Thailand. * Galung language, spoken in Nakhon Phanom Province of Northeast Thailand. * Lü (Tai Lue, Dai), spoken by about 78,000 (1993) in northern Thailand. * Northern Thai (Lanna, Kam Meuang, or Thai Yuan), spoken by about 6 million (1983) in the formerly independent kingdom of Lanna (Chiang Mai). * Phuan, spoken by an unknown number of people in central Thailand and Isan. * Phu Thai, spoken by about 156,000 around Nakhon Phanom Province (1993). * Shan (Thai Luang, Tai Long, Thai Yai), spoken by about 56,000 in north-west Thailand along the border with the Shan States of Burma (1993). * Song, spoken by about 20,000 to 30,000 in central and northern Thailand (1982). * Southern Thai (Pak Dtai), spoken about 5 million (1990). * Thai Dam, spoken by about 20,000 (1991) in Isan and Saraburi Province. Many of these languages are spoken by larger numbers outside of Thailand. Most speakers of dialects and minority languages speak Central Thai as well, since it is the language used in schools and universities all across the kingdom. Numerous languages not related to Thai are spoken within Thailand by ethnic minority hill tribespeople. These languages include Hmong-Mien (Yao), Karen, Lisu, and others. * Street Thai : informal, without polite terms of address, as used between close relatives and friends. 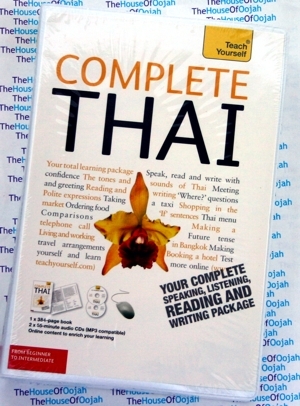 * Elegant Thai : official and written version, includes respectful terms of address; used in simplified form in newspapers. * Rhetorical Thai: used for public speaking. * Religious Thai: (heavily influenced by Sanskrit and Pāli) used when discussing Buddhism or addressing monks. * Royal Thai : (influenced by Khmer) used when addressing members of the royal family or describing their activities. Many Thais can speak at only the first and second levels, though they will understand the others.